All of the below information comes directly from job reviews written by Amec Foster Wheeler employees based on 86 reviews. Summer internships and work experience will certainly help! Show you are enthusiastic and that you want the role! Be yourself in the interview - the interviewers are looking for people they can imagine working with for years into the future! Amec Foster Wheeler is a very good company to start with, since they are concerned about your progress and development. They constantly assist you since they are aware of the difficulties faced while starting a graduate scheme. Applying for this role, it is not easy since there are lots of candidates. However, you have to be persistant and enthusiastic about it. Just work hard to get it! HR people and managers are so friendly that you will be happy to go through such a stressful day with them. Be yourself, be honest and enjoy! Understand role of EPC in design from early project phases through to construction. General technical questions but I could show the work I could produce from my placements. Also what my career plans were, not just for the graduate scheme but for the 2, 5 and 10 yr plans. I would highly recommend it as a company to work for. Even if you don't know specifically what part of the company you want to work for, it is still worth going for all positions as there is lots of cross over and you can switch and try out all different jobs internally. In terms of your actual application, be honest and if you have done a lot of extra things besides studying make sure you get them in your application because it will help you stand out. The interview can seem tough like any interview but even if you don't know all the technical questions as long as you can show you are willing to learn and have the skills capable of learning that material you will be fine. One thing I think is worth noting is, the company are looking for a person as well not just a smart person, you have to represent the company when you work here so try be as people friendly as you can. Showing an interest in your institution like institute of physics or engineering will go along way as well because you will probably be asked about it and it is important to gain chartership. If you are interested in chartership, that will stand you in good stead. Get work experience while still at uni. Find out what active listening is, make sure you use it. During group tasks, it's ok to be on the losing team as long as you're working together and the other lot aren't! Show how your education and experience is relevant to the company and the specific role. Whilst technical skills are very important, interpersonal skills are also highly valued. Ensure that everything is written clearly and concisely, as simple grammar and spelling mistakes can make a poor first impression. Research the company as a whole, the business unit and the role itself. Make sure you have an understanding of the day-to-day requirements of the role and try to show how your skills and experience would be applicable. Try to think about how you would like your career to progress, and how the role will help you to achieve these goals. It is important to show that you have aspirations and that you want to be the best you can be in your field. The interview itself was relatively relaxed and I felt that the interviewers were trying to get the best from me. Whilst being nervous is normal, try and show confidence in your skills and abilities! Relevant experience is extremely useful though doesn't have to be in the oil and gas sector. Technical knowledge is important but interpersonal skills are just as important as there is lots of work with others. Sound knowledge of basic engineering principles is required for technical interviews. Life experience outside of acedemia from which you can discuss the benefits is beneficial for HR interviews. Ensure you have a robust cv, in terms of engineering work experience and other work experiences. It sets you apart from the crowd. 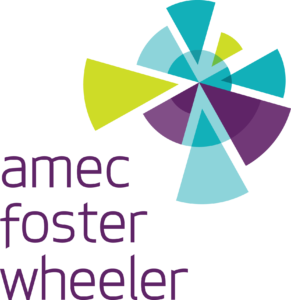 Amec Foster Wheeler has it's own unique core values which it uses to delivers it's projects and win new jobs. You as a candidate need to understand what these core values are and how you will position yourself to contribute to the Amec Foster Wheeler team. Know what competencies your role demands and prepare to answer questions on how your past experiences dispay examples of those competencies in action. e.g Analytical, problem solving competencies or organisational competencies. The technical interview involved thinking through a general process flow involving a 3 phase separator, some piping, control valves and process vessels. I was required to think through the process flow and explain what might happen to the products depending on changing certain process conditions. The trick here is to have a sound knowledge of how pressure and temperature affects process flows and to understand basic things like the stratification of a 3 phase mixture of gas-oil-water. Industrial experience and leadership/teamwork roles need to be a focus along side academics. Your technical interviewer wants to see how you approach a problem not just what you know, don't panic when you don't know the answer. Our project execution is heavily revolved around working collaboratively as a team, which often spans continents and time zones. So if you can demonstrate that you work well as part of a team with good examples you will fit right into Amec Foster Wheeler way of doing things. During the assessment centre make sure that you engage with all aspects of the day as you will be continually assessed. The previous intake to yourself sometimes help review CVs and know the tricks grads try to use to get a job. If it asks you for a covering letter, don't write a sentence and don't write 5 pages. A page is maximum. Why do you want to work in piping, not why you want to work for Amec Foster Wheeler? Demonstrate your skills in your CV and cover letter. Mention briefly in cover letter why you want to work for the company and some words about your past experience/voluntary work/project where you worked as a team. Research about the company. Be ready to answer some basic questions about engineering (depending on your discipline). If you have past work experience/internship then do some preperation to explain in detail, what you have done and what was your responsibility, otherwise be ready to discuss about your final project/dissertation. Also it's good to ask some questions to interviewer at the end of your interview. 2 page CV max, keep it well formatted and to the point. If you get to the interview then there is something they see in your profile, so there is no need to be nervous. When applying for roles in an engineering contract ensure you know what you are signing up for. The job will be office based only and though companies may offer travel as a perk it is likely travel will be limited during your graduate scheme and only open up once you have more experience. There are some exceptions to this but not many. For interviews ensure you have studied the more practical side of the chemical engineering curriculum. Pumps and NPSH are very common questions, the effects of changing pressure and temperatures of systems is also another favourite. Be to the point and give examples of what you have done and how it is applicable to the role. Don't fill your application with HR waffle. The department manager is the one who reads your application and won't appreciate vagueness. Have your own questions to ask and really focus on why you want the job in the technical interview rather than why the company in the HR interview. Research the industry and what skills are required to fulfil the job. Know what an employee would do on a day to day basis. Know who our clients are and what they expect from our delivery. Show you have knowledge of Amec Foster Wheeler and the industry in which you are applying to, as well as a clear goal of where you want to be in ten years..
Be relaxed and confident. The interviewers were friendly and put me at ease, and after the initial nerves, I actually quite enjoyed it! Take your time on each application, make it tailored to Amec Foster Wheeler. In order to do that you will have had to do some research into the company beforehand. Focus on previous work experience in Oil and Gas if you have it and explain clearly why you want to work in the process industry specifically. Prepare well in terms of knowing why you want a job at Amec Foster Wheeler specifically not just any job and not just a job in Oil and Gas. Don't be afraid to ask questions in the interviews when you don't understand something, it may not have been explained well/clearly. Ask other questions on the day of the people who work here, it shows you are interested and keen to learn about the company you are hoping to join. Have some experience as well as a degree. Do as much research about the company as possible, write a few questions down that you have for them. The application process consists of an assessment day followed by an interview. You should ensure that you stand out during the assessment day by mentioning interesting things you have done which other graduates may not have done. This will help the assessors to remember you when you are one of a lot of people. Make sure you understand the basic principles of your subject, research the department and people you're being interviewed by - LinkedIn is your friend! Put emphasis on activities outside of education. Good grades only get you through the first door, somebody who is proactive and can fit into the working environment is much more valuable. Relax and try to show interest in the job you've applied for. Depending on the role you might be asked technical questions, so brush up on things you've learned. I would advise them to research thoroughly what we do at Amec Foster Wheeler. There is plenty of material available out there to provide them with a detailed insight into the kind of business they would be joining. This is obviously dependent on the role applied for. I would advise them to let their personality show through. At the end of the day our people are our assets, so a person with a positive personality will have a distinct advantage. To be open to different kinds of experience, not just of what you have done at university (eg. engineering) as it all contributes to be a well-rounded individual, for example doing placements for commercial to get a business background etc. Keep calm and be yourself. Know what you have done as prior experience and have a confidence for it. Don't be afraid to say you aren't sure but try your best at all the questions - the ones interviewing you are experts so it's ok if you don't know everything right away. I think the most important thing is that you enjoy civil engineering and have the determination to work hard to meet strict deadlines and project pressures. Anyone reading your CV or interviewing you can immediately tell if you are enthusiastic or not. This role is based in the Oil and Gas industry which is different to other engineering contractors and consultants within the UK, and it is important to be aware of the work and projects FW are involved in. There is a technical assessment focusing mainly on the standard principles, bending moments/ shear force / beam analysis etc. However, in my interview I found they were also interested in the way I thought about various problems. I was shown photographs of a previous project and asked to identify any potential issues with design/manufacture/transportation and how these issues may be overcome. As with most interviews, the ability to convey your opinions is very important and some time was spent discussing team working scenarios and experiences. I think it is important to discuss the difficulties you may have had in the past when working in project teams and then focus on the measures you took to overcome these issues to ensure an ontime/on budget design. If you've been invited for interview the employer probably thinks you can do the job but wants to find out more about you. Research and learn a bit about the company, who the CEO is, what our main business aims and working sectors are, our Core Values and how you demonstrate them in your own experiences. HR interview and technical interview. Foster Wheeler is a company which looks for leadership and confidence in employees but you must also be able to work effectively as part of a team. Above all Foster Wheeler values safety and its core values. See above. Be confident and enthusiastic. Make sure you know what the industry is about and make sure you actually want to work for an EPC company rather than an operator or a consultancy. technical interview - nothing difficult. It is just an opportunity to see how you think and work through problems. HR interview - a chance for the interviewer to see if you are committed to this industry and to see if you are a good fit to the company. Group exercise - be yourself, the company isn't looking for you to be a "dynamic leader" and boss people around. Apply if you are interested in becoming a chartered civil/structural engineer within the industry. Be relaxed and enjoy the experience. You will have to do the job, so you are interviewing the company as well. Research Oil & Gas operations. Questions normally have a simple answer, the interviewer is more looking at how you work things out. Be honest on your application, and make sure any work experience, whether in the oil and gas sector or not, is included. If you have related experience, put it on your CV and mention it in your covering letter. Research the company and learn your stuff. 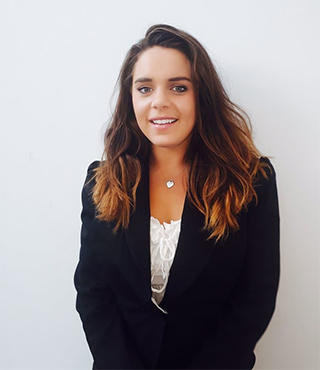 My advice to anyone considering applying to Foster Wheeler is to spend a lot of time reading and understanding what the role actually involves and what Foster Wheeler do. I would also suggest obtaining some kind of work-related experience in the form of a placement which is vital to making yourself stand out at the application stage. The interview comes in the form of an assessment day which involves a number of activities including a technical interview, HR interview and group exercise. Try and get as much internship/work experience as possible in the industry to demonstrate entusiasm and understanding. Do not worry about estimating experience as there is no formal qualification for estimating. Teamwork and communication are key to working in this industry. Look into the work done by EPC companies. Show ability to be flexible with working style as there is a range of work to be undertaken between Conceptual Design and Construction phases. Technical interview, HR interview and group assessment. Technical interview focused on understanding of processes and arrangement of process units. Enthusiasm and interest in FW and the Oil and Gas industry. Had to do a small structural test so brush up on basic structural knowledge (if forgotten). Background research in the company but also in the contracting field in general. Be sure you are interested in contracting as a career. Work on technical and interpersonal skills. Individual first round interview is very relaxed. Try to show of yourself as a whole by being as relaxed as possible. Assessment day structure is quite typical; technical and HR interviews along with a group exercise. Networking/building tours are included. Research the role, company, industry. Play off this in your CV and target those specific skills. Research the company. Read the annual statements. Understand what the CIPS qualification involves. Be open to rotating in various positions and state this in your application. Team work is key, but so is being able to work on your own initiaitive. Don't be scared to ask questions!!!! It is good if you prepare questions for your interview. Making sure it is well written is a very important point also, this is the first thing your potential employee will see and gives them an initial impression of you. Telephone Interview, relatively basic technical points (basic electrical principles/ motor operation etc.) an initial getting to know you talk through your CV and discuss anything you are currently doing. Face to face interview- Foster Wheeler as interview days where you will have a HR interview and a technial interview, as well as a tour and general meet and greet of some staff. The technical interview is the basic flow, level, pressure and temperature instruments, not too challenging. The HR interview is harder; times in your life when you've had to lead a team/overcome a challenge etc. Get good answers for those types of question and it'll be okay. Apply early and make sure your CV really reflects your engineering experience that you have had both at University and on placements you may have had. Be sharp on your technical knowledge and don't be shy during the more informal aspects of the assessment days. Masters in engineering at a 2.1 or higher is required. Research what the job entails, people who are sure they want to be in desgin will be taken more seriously. Try to be friendly and easy to talk to, the people interviewing are going to be working with you so won't want to work with someone who is rude or arrogant. Make sure you know the basics of what the company does and its core values. Focus on the core values of the company and how you meet them personally. The technical stuff on your CV speaks for itself, demonstrate how you will contribute in a team environment whilst having individual desire for quality. There were 2 interviews, HR and technical. Hr: Again focus on preparing answers and real life situations that match the companies core values. Technical: Think common sense engineering, don't worry about equations etc. just the problems facing an engineer in our industry. Think heavily on SAFETY! Then size, cost, time, manufacturing. Be genuine and straightforward about what you expect from the job as this is a strong matching factor - your university results are expected to be good. Be yourself and confident - the people consider what you will be like when you are in the office working with them! Technically, you are not expected to know anything in great detail as you'll be provided with on the job training where required. Ideal if you want to jump straight in. We are a very teamwork orientated company. The technical interview is as much about answering the question “Would I have this person on my project” as it is assessing technical aptitude. Get applications in early, don't put anything untrue, be yourself and put something different about yourself like hobbies. HR Interview - consists of questions about the company core values, understanding of the industry, examples of individual/team working etc. Technical Interview - With department managers. Questioned about modules complete at university, and previous work experience in an engineering company. Shown a picture of a vessel and asked about the considerations that I would have about the vessel. Answered with things such as the weight/height/thickness of the vessel, perhaps the stresses and strains on the vessel and how they would be tested. Also things such as how these vessels are going to be transported and manipulated are important (eg. cranes that need to be booked years in advance).